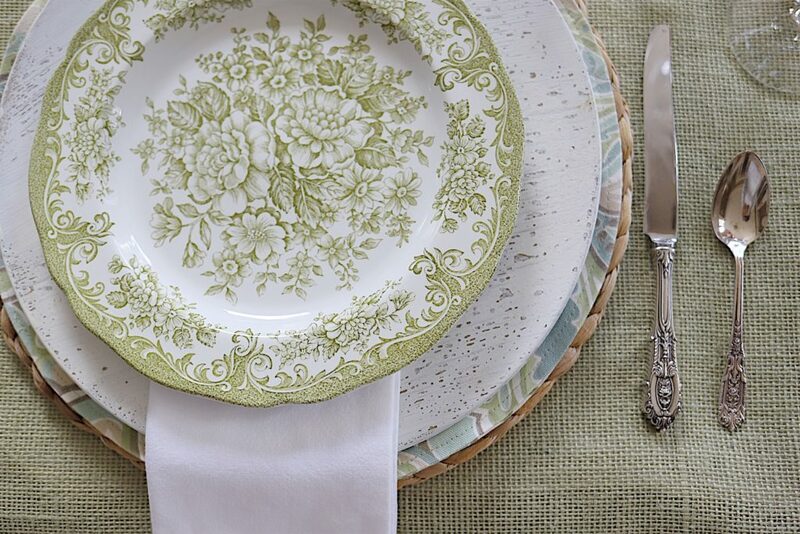 One of my favorite things to do is to create new tablescapes. 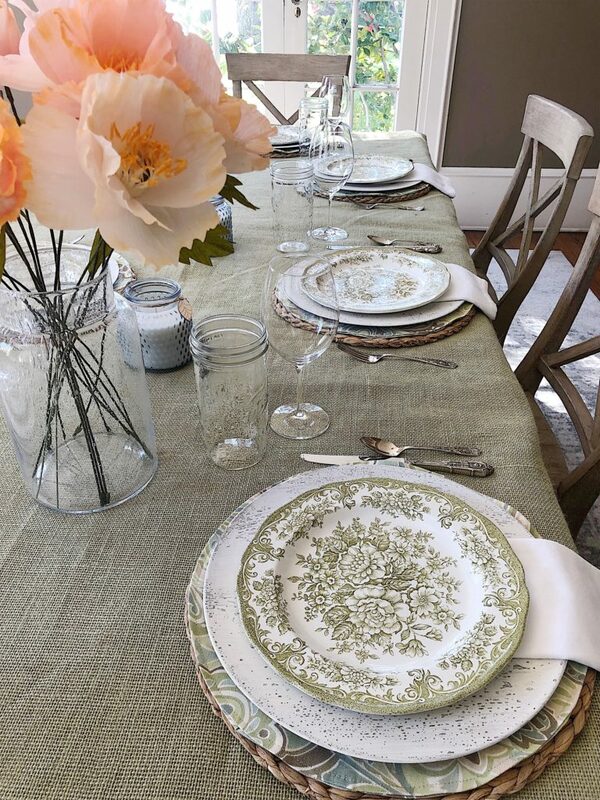 I styled my dining room table last week with a hand-sewn burlap table runner and crepe paper flowers I made in a partnership with JOANN. I am always looking for ways to add color to my tables and I came up with some very fun DIY placemats and I am so excited to make some more. 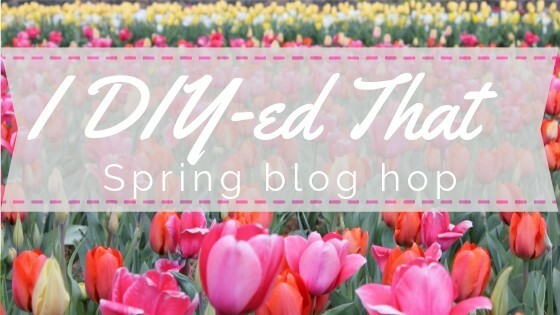 Today I am also part of an I DIYed That Spring Blog Hop that my friend Jen from Noting Grace put together. If you are coming over from Seeking Lavender Lane, then welcome! I am sure you loved her Bunny Sillohette Pillow for Easter. Be sure to scroll to the bottom of this post to see more fabulous home decor DIY ideas from a lot of bloggers! 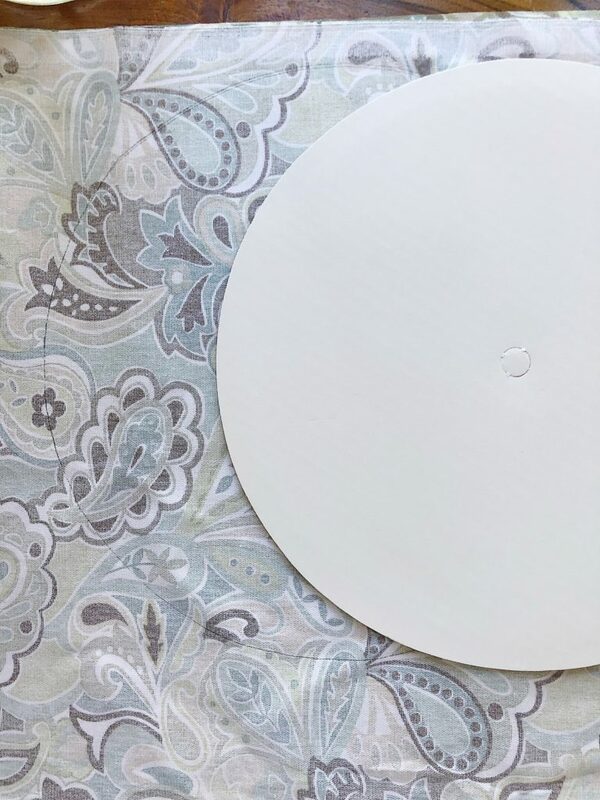 When I decided to make round placemats I stressed a bit about how to cut perfect circles and how to sew them. I absolutely love the idea I came up with and you are not going to believe how easy these are to make. 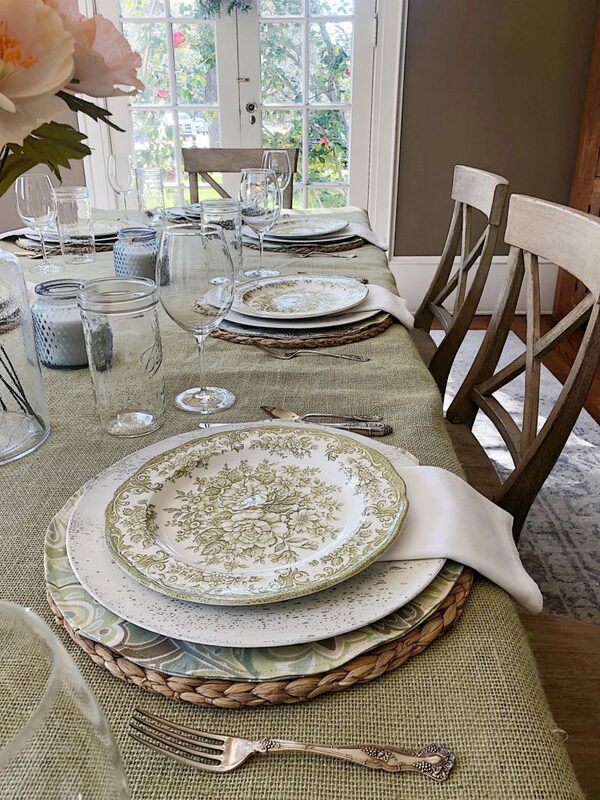 You can use these as stand-alone placemats or stack them with other placemats and chargers for a really fun peek-a-boo effect. 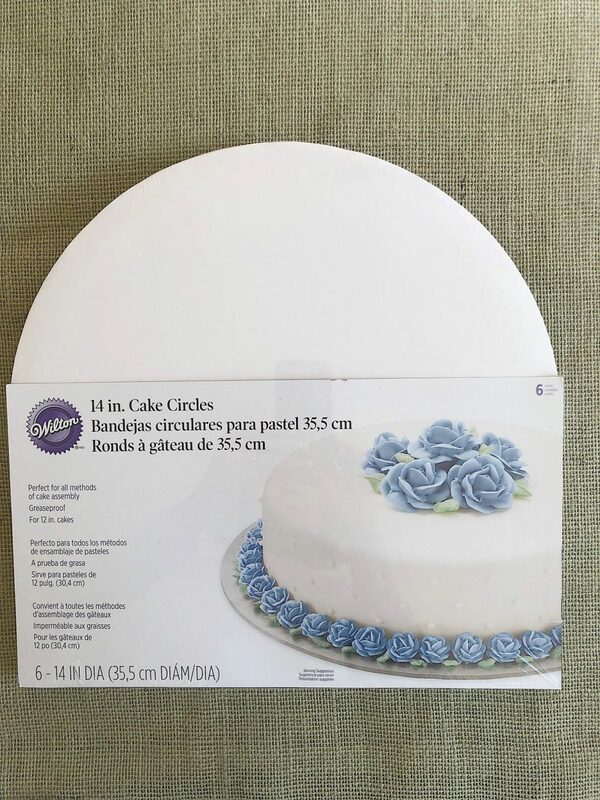 14-inch cake circle (or one round cardboard circle) You can find these in the cake decorating section at JOANN. Using the cardboard circle as your guide, trace around the circle on the wrong side of the fabric. Be sure to leave two inches between each circle. 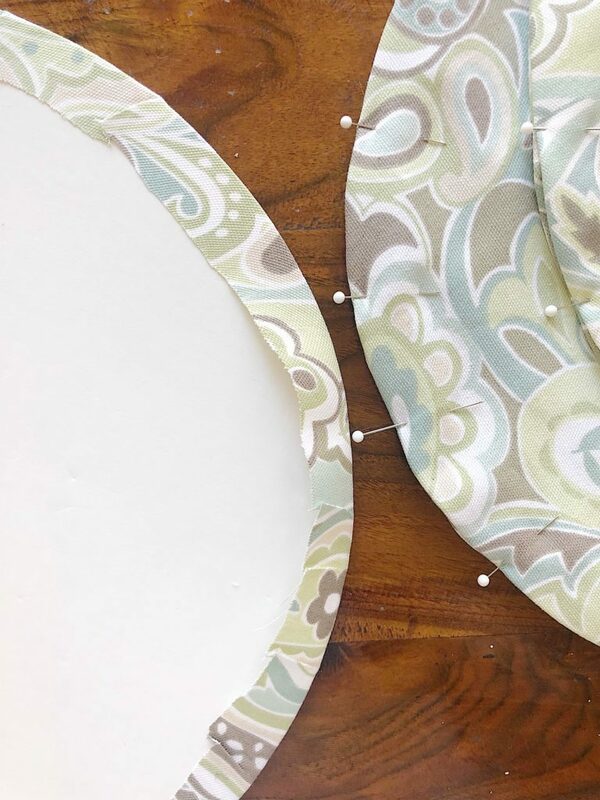 Cut out each circle adding about 1″ of fabric all the way around each circle. 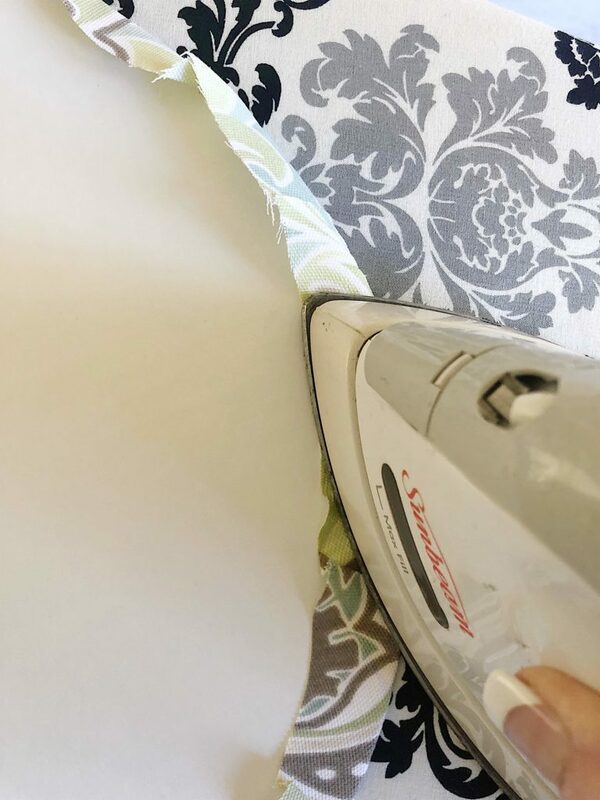 Place the piece of cardboard on top of each circle and iron around the entire edge, gently folding in the extra seam allowance. Can you see how easy it was to iron a perfect circle? Place two circles, right side out on top of one another and pin around the outside edge. 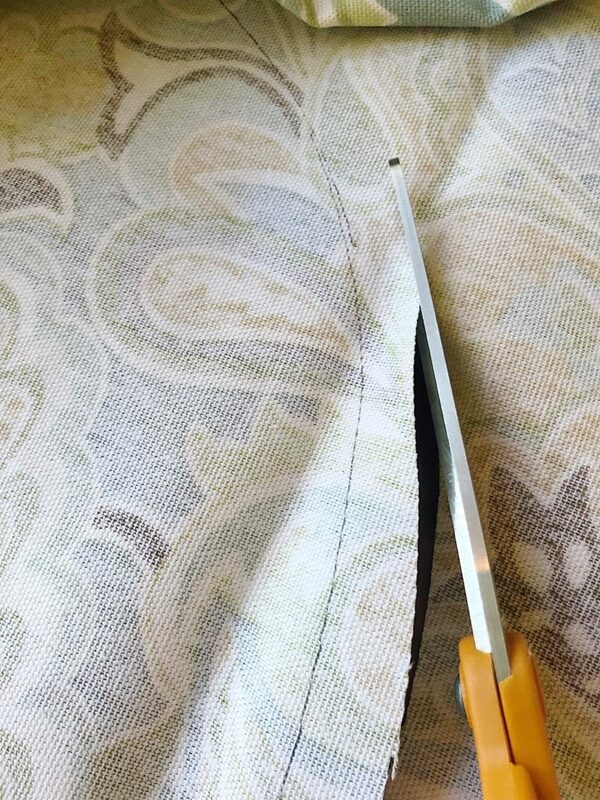 Sew along the outside edge about 1/4″ from the edge, all the way around. And you are done. I am not kidding when I tell you I made eight of these placemats in under two hours. I love how much color they add to my table. I cannot wait until I make more of these for future table settings. 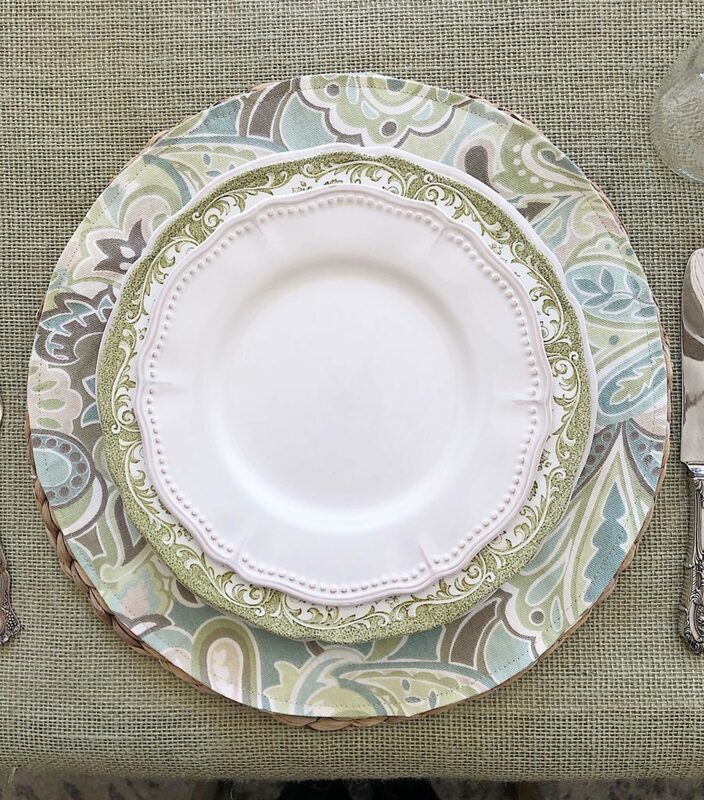 There are so many different patterns that I want to make to go with my china patterns. 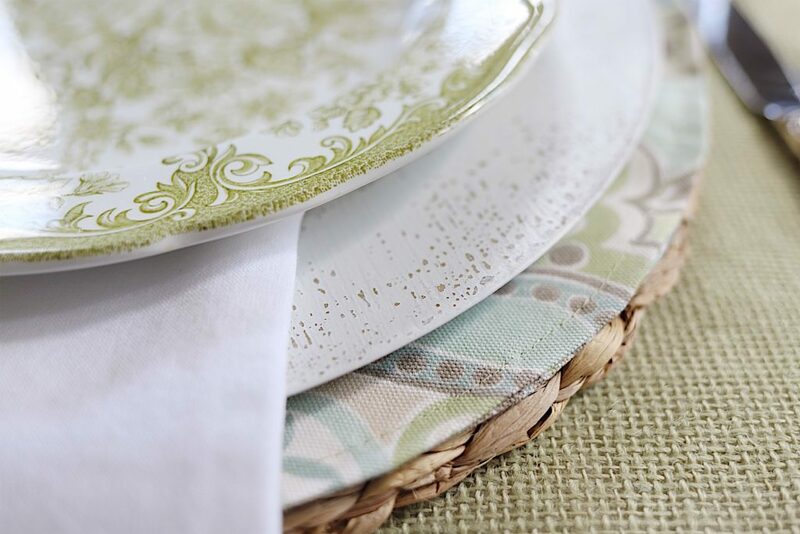 I think you should make these DIY Placemats as they are so much fun! They are really easy and such a great addition to any table. Next, you are going to want to head on over to my friend Kelly’s blog at The Tattered Pew and check out her Easy DIY Book Garland. Then follow the links below for lots more DIY ideas! What a genius idea!! I would have never thought of using cake disks as a template for perfect circles! I will definitely be storing this idea away for future DIYs! Thanks so much for joining us this week! I’m always inspired by what you share. Thanks so much for having me Jen! This was so much fun. These look so pretty Leslie! 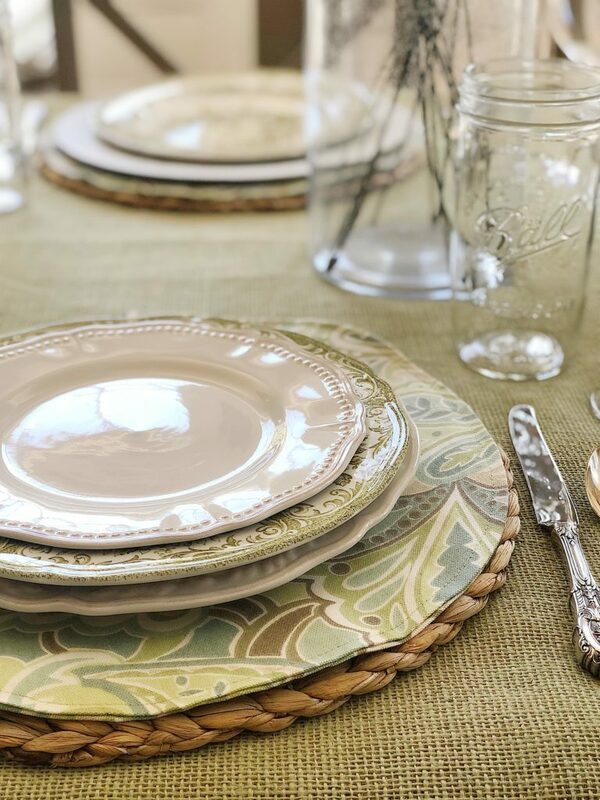 I love how they add one more dimension of pattern to your table. You could hand see them if you want. But maybe you should try the paper flowers I just made. So happy you like my site. Great idea! 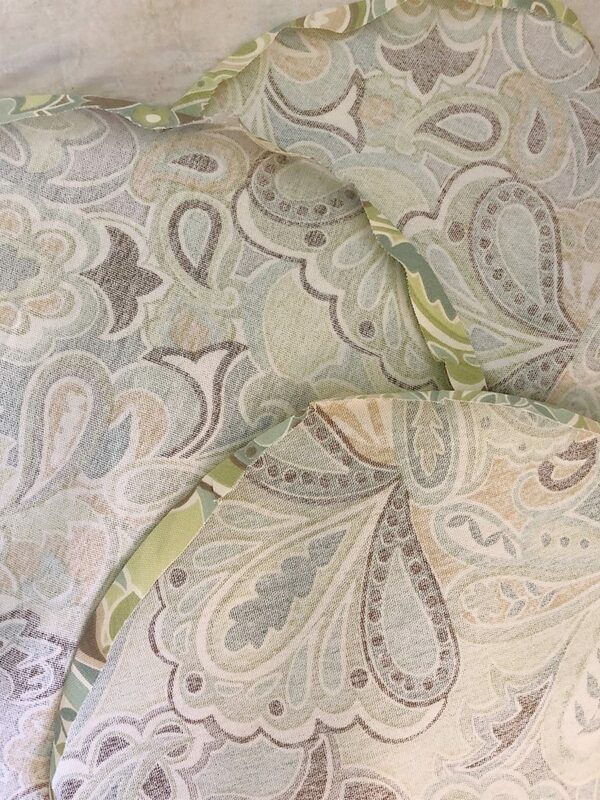 I used the same fabric a few years ago to make chair cushions! Was thinking a runner but love this idea. 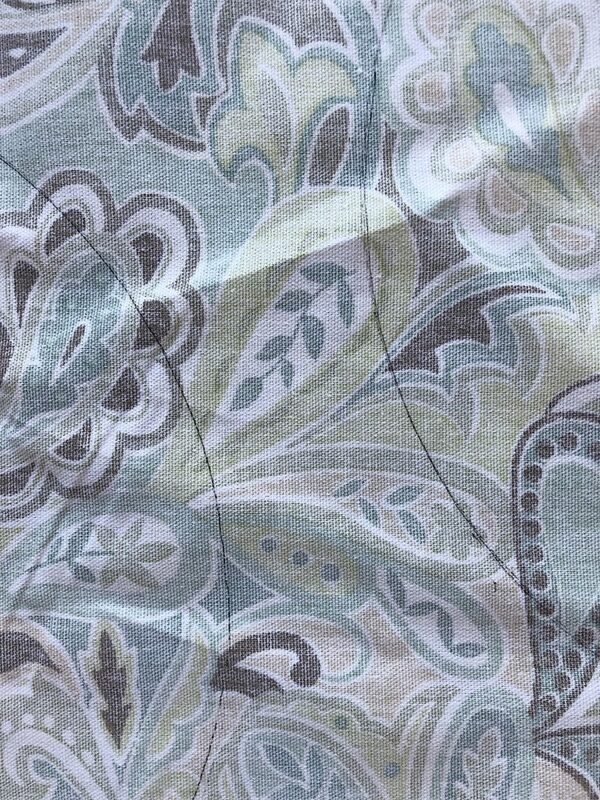 I used the same fabric to make pillows six years ago. A runner or placemats would be great. Great idea! 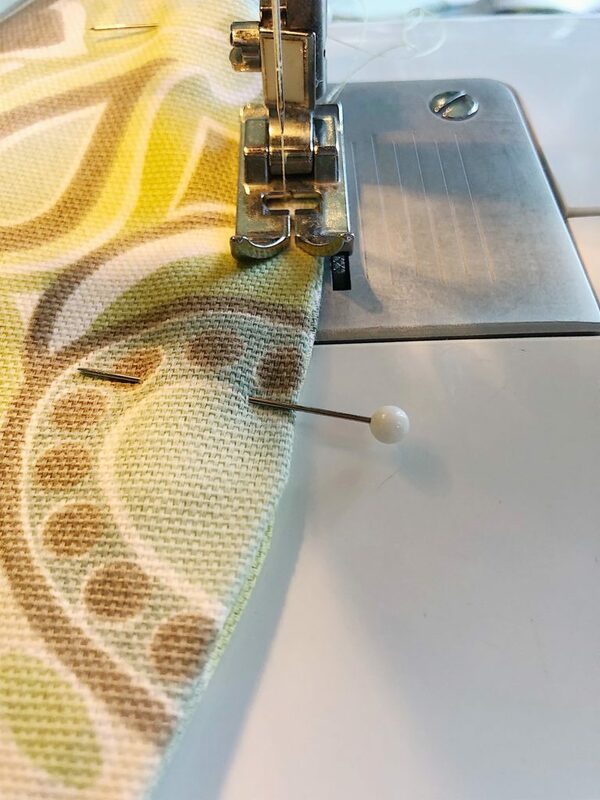 You could also pair two different fabrics for reversible mats. You are so right. Why didn’t I do that??? Thanks so much Kelly! Paper flowers really are fun to make! This is brilliant, Leslie! I love the color it adds to your table, too! Thank you so much! I want to make more in some other spring colors. A perfect spring table!! So beautiful! Leslie, these are gorgeous. You are so talented. So glad to be a part of this blog hop with you. What a great idea!! 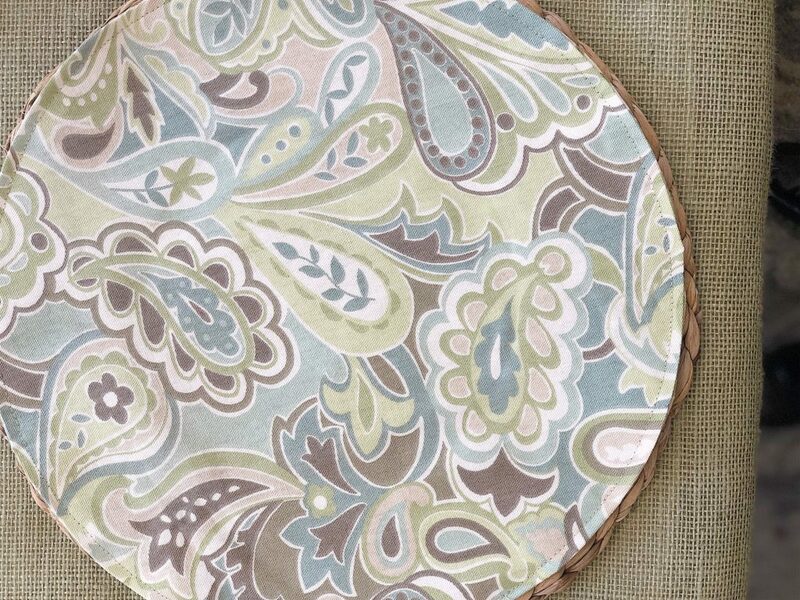 I love the circular look of these placemats! Seriously so pretty!